Apple crafts are a perfect activity for fall. 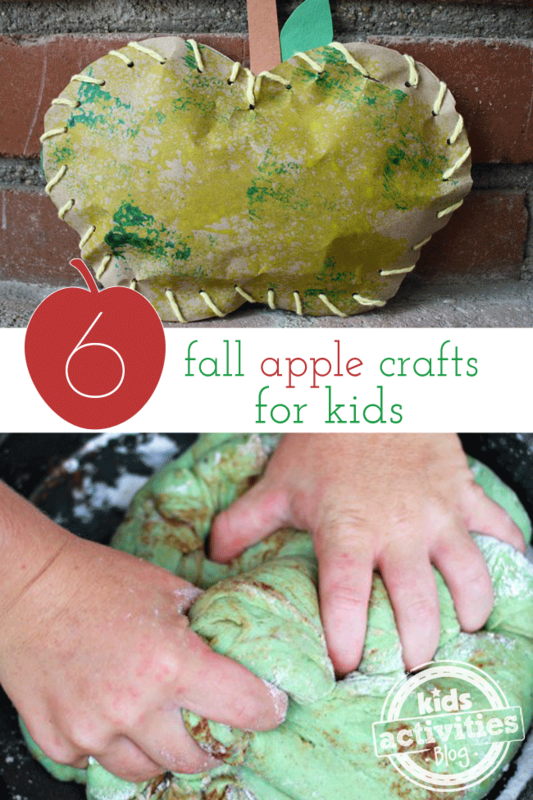 Along with all of the apple picking events and apple recipes, there are also lots of crafts! We love crafting of any kind, and each season brings a new set of ideas. Today, we’re showing off a few of our favorite apple crafts pulled from our Wednesday link-up, It’s Playtime! Check it out each week for more fun. Egg Carton Apples – Paint the bottom of two egg containers red and once they’ve dried cut them out. Match a top and bottom together, cut a whole in the top and string a pipe cleaner through. Stuffed Paper Apples – Use up your extra brown paper bags for this fun apple craft. These will make for really cute fall decor around the house! Apple Pie Dough – This is a similar texture to playdough but is scented to smell just like an apple! This recipe is very easy and lots of fun. Paper Plate Apple Crafts – Here is a very easy craft that only requires a paper plate, a little red paint and a piece construction paper. Coffee Filter Art – Make apple shaped art by following this apple pattern outline with construction paper. Then, make coffee filter art to fit inside. Autumn Cork Painting – Paint a beautiful apple tree using wine corks. Use a piece of construction paper to cut out the trunk of a tree, and then dip your corks in red and yellow paints and stamp them onto the paper. Be sure to check out more activities today at 4pm! Previous Post: « Candy Bingo Makes Learning Fun!